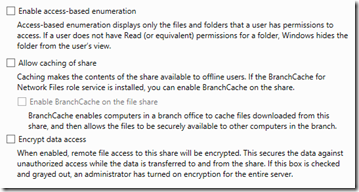 The standard approach for shared storage in Azure is Azure Files, which provides a great solution for SMB-style access across multiple clients in Azure and even on-premises applications. 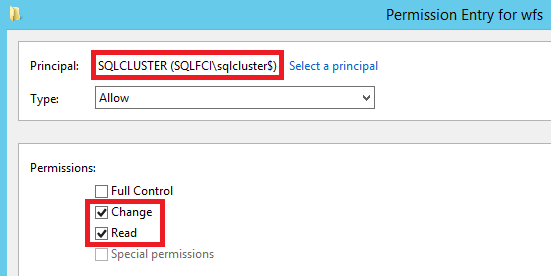 You could use Azure Files as shared storage for building an HA solution on top of SQL Server FCI, but keep in mind that (at the time of this writing) there is an upper limit of 1.000 IOPS (measured for 8KB IO unit size) per share. 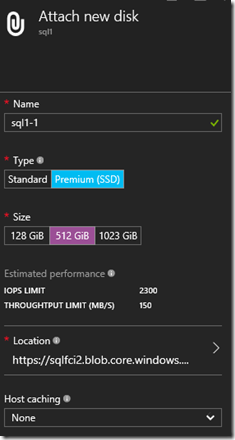 In Azure, the usual way to increase throughput for SQL Server OLTP workloads is striping premium storage disks together in order to aggregate their IOPS & bandwidth. 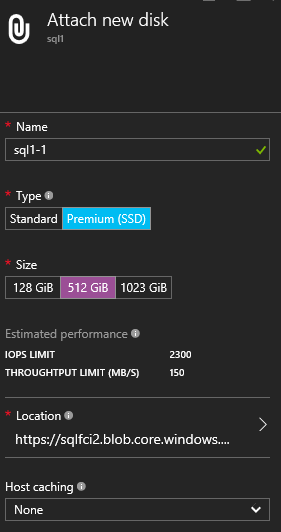 By properly configuring Storage Spaces in combination with Azure Premium Storage you can achieve up to 80.000 IOPS and 2.000 MB/sec throughput for a single GS5 virtual machine, see here. 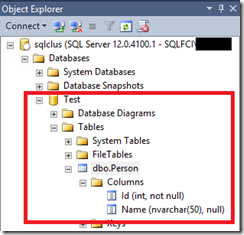 Now, if we could use this approach to scale a single database node (in terms of I/O) and engineer high availability around it, wouldn’t that be great? 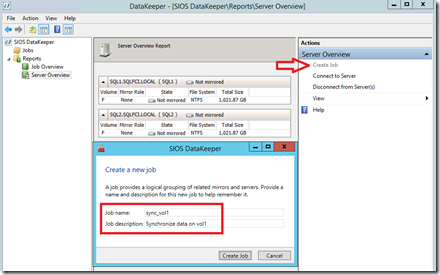 Well, take a look at the SIOS DataKeeper solution, which you can find in the Azure Marketplace. 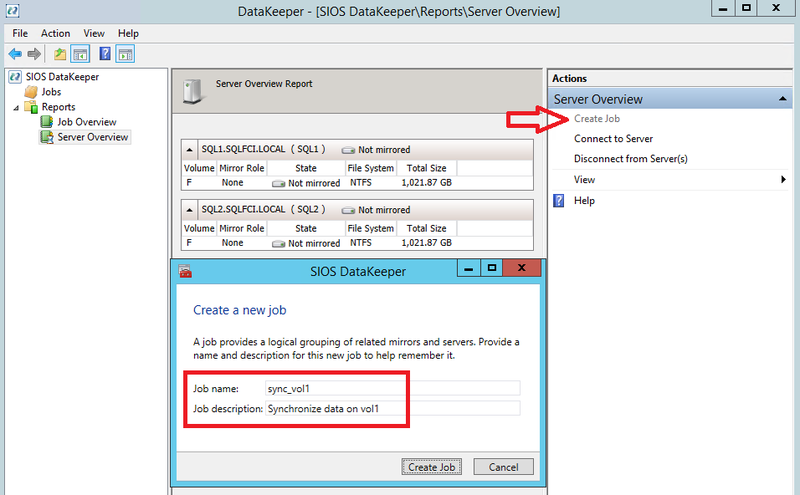 DataKeeper provides asynchronous or synchronous block-level replication between locally attached disks/volumes and integrates with Storage Spaces as well as Windows Server Failover Clusters (WSFC), such that replicated storage appears to the cluster as shared storage. 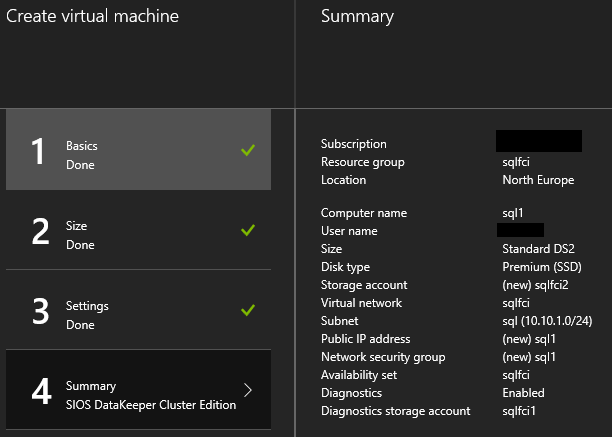 Although the Azure Marketplace page for SIOS implies that there is a pay-as-you offering for DataKeeper, you actually need to purchase a license for production use. 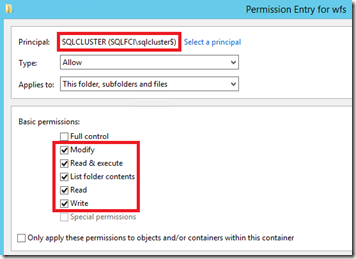 If you just want to deploy a test cluster (as described in this post), you can request a 14-day trial on their website. 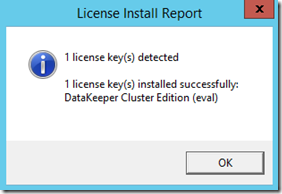 The site also contains more information about DataKeeper, e.g. 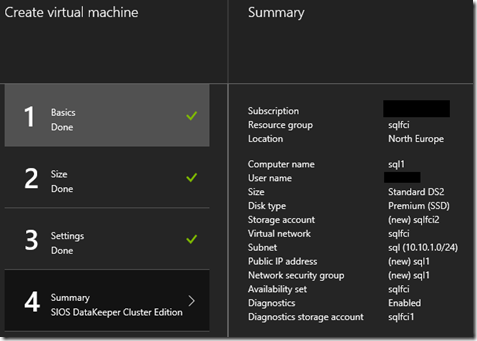 a product overview and a Getting Started guide (which is still based on Azure v1 classic resources and the classic portal). 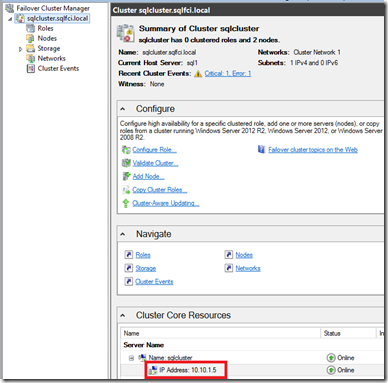 Before we can get started with the cluster itself, we need to set up the network and domain environment. 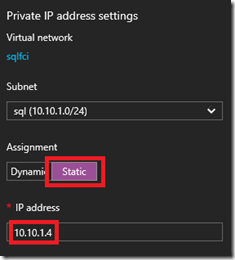 We can create the resource group, network and VM for the DC in a single go via the Azure Portal. 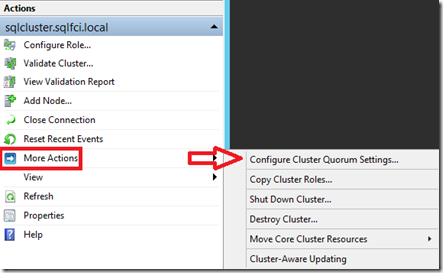 Just create a new VM from the Windows Server 2012 R2 Datacenter template and make sure to select Resource Manager as deployment model, as we want to embed the complete cluster environment into the new ARM deployment model of Azure. 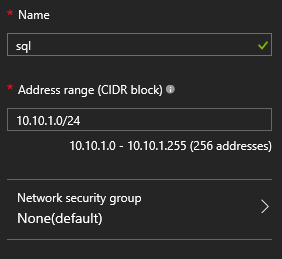 For the sake of simplicity I am not configuring a network security group on the subnet (which should be done in a production environment). 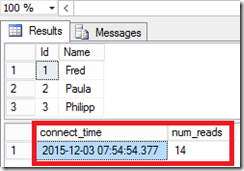 Note that (again in order to keep it simple) I am not using the best practice to put the AD database on a separate data disk, as described here. 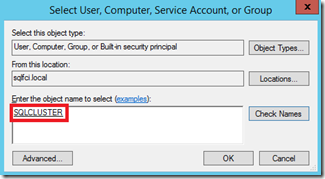 By default you will get a public IP address associated with a Network Security Group. 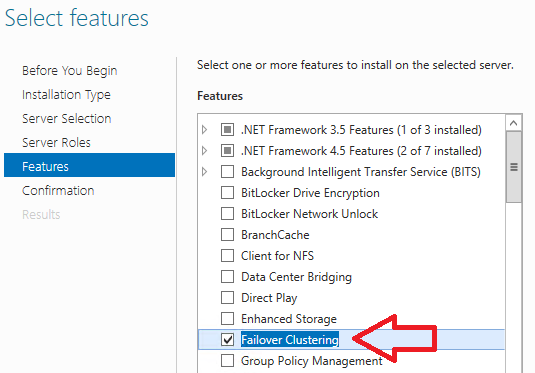 This is only required for RDPing into the VM and could be removed later on, as access to the cluster will happen via the private IP. 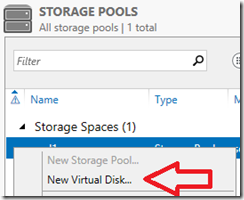 Make sure to add premium storage disks (which is the default) and to switch off host caching. 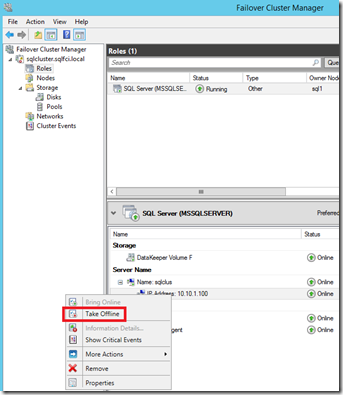 In this example I am using P20 disks, which have a maximum of 2.300 IOPS per disk (P30 would give you 5.000 IOPS). 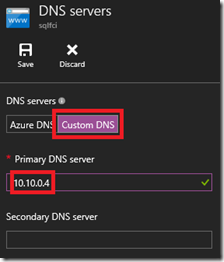 If the domain cannot be found check your DNS settings in the VNet that we set above. 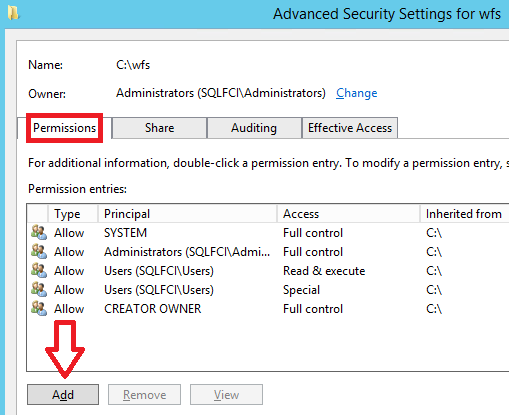 I am leaving the default allocation mode set to ‘Automatic’. 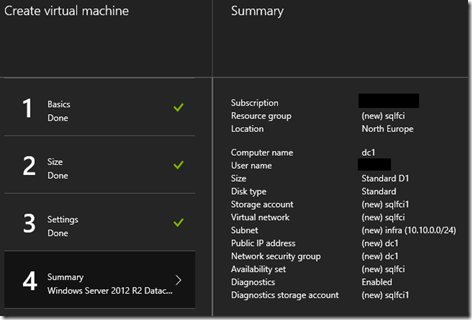 For best practices check Performance Guidance for SQL Server in Windows Azure Virtual Machines. The Storage Layout should be set to Simple, as this configuration provides maximum performance/throughput, and redundancy is already built into Azure blob storage, so we don’t have to add it here on the Windows OS level. 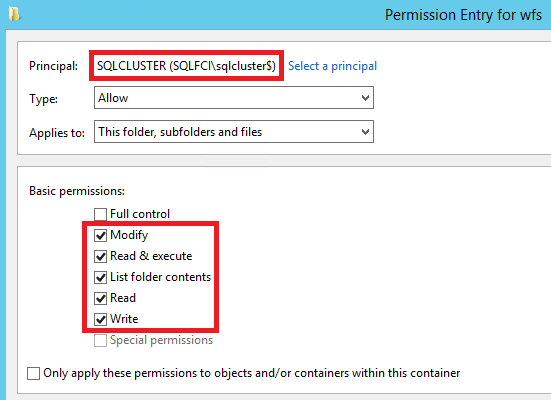 Note that for production use, the allocation size should be configured according to best practices, as referenced above. 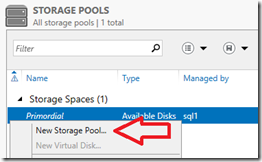 Note that you could potentially add more disks to the VMs and include them into storage pools in order to increase IOPS and throughput for the locally attached storage. 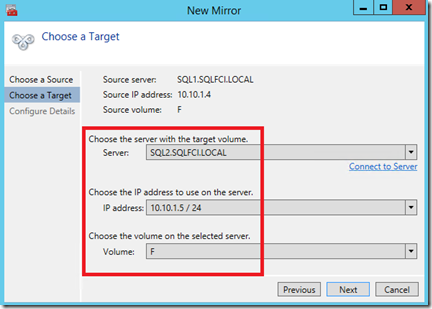 Now, go ahead and create the second node using exactly the same steps as described above, using sql2 as name of the VM. 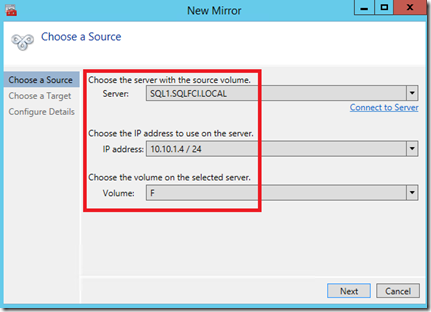 Make sure to use the same datacenter location, resource group and VNet/subnet. 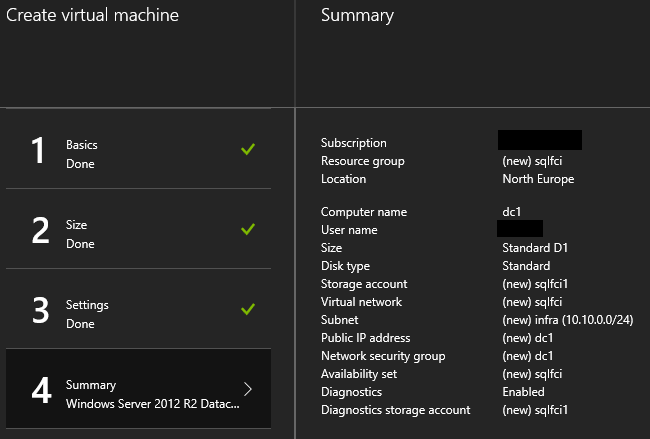 You should also use the same premium storage account for the OS and data disks to keep it simple. 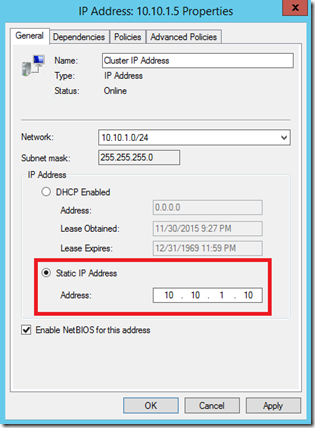 The second node should get 10.10.1.5 as IP address when using the parameters specified above. 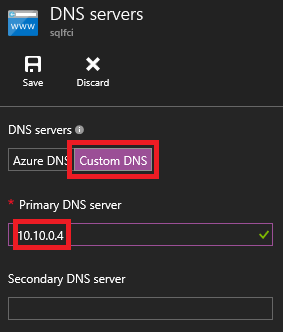 This is showing that our 3 VMs are located in different fault and update domains, providing HA from an Azure platform maintenance and outage point-of-view. 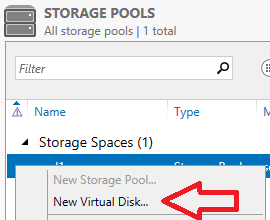 Whenever the Hyper-V hosts are patched and our VMs need to be rebooted, the platform makes sure that only one of those three VMs is affected at a time. 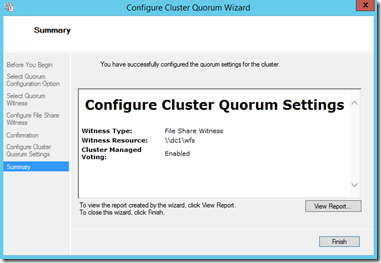 Similarly, as the VMs are located in 3 different fault domains (think racks), an outage should not affect more than one VM, keeping the cluster quorum. 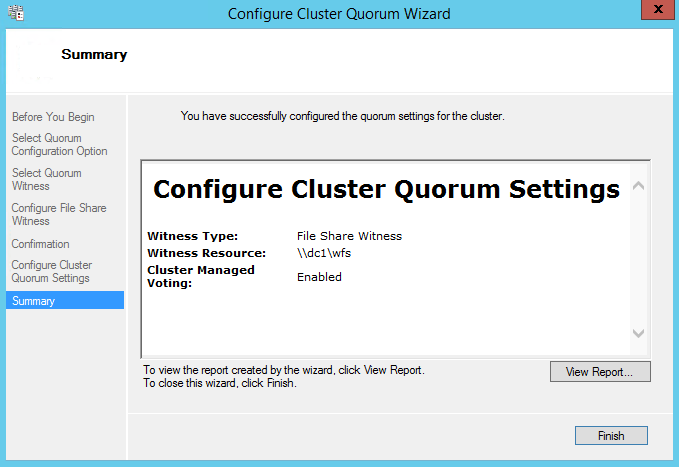 Going through the wizard accepting all defaults will take you through cluster validation, which will report a couple of network and storage related warnings. 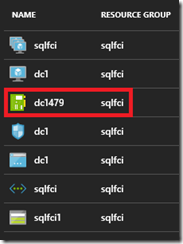 You can safely ignore those, as the validation procedure is looking for classical shared storage (which we don’t yet have until configuring SIOS DataKeeper later on) and also for redundant network connections (which are transparently provided by the Azure fabric). 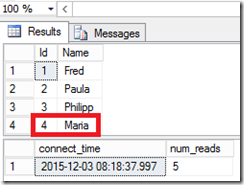 On node sql1, create the cluster by specifying a name (e.g. 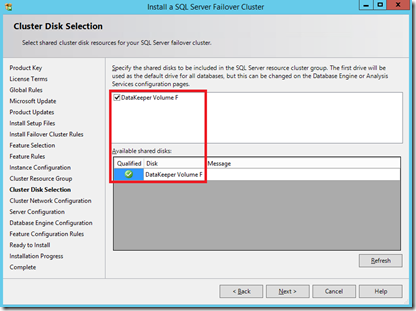 sqlcluster) and accept all defaults. 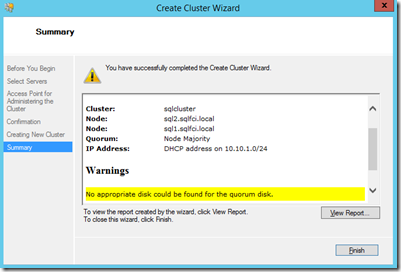 The wizard will finish showing a warning about a missing quorum disk, which we will also fix later on. Note that this IP doesn’t get ‘reserved’ in DHCP, so you need to make sure it won’t be given to another VM in the subnet. 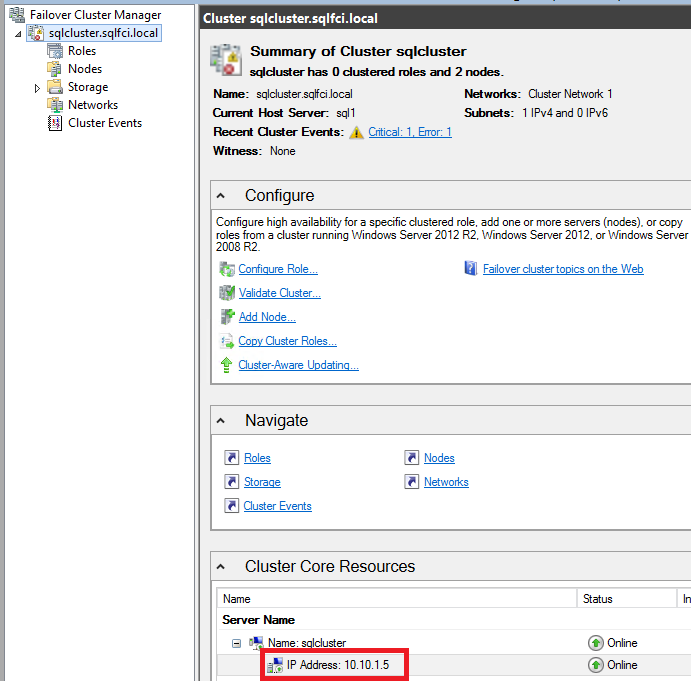 After the IP address has been changed for the cluster object, the second node should come up successfully. 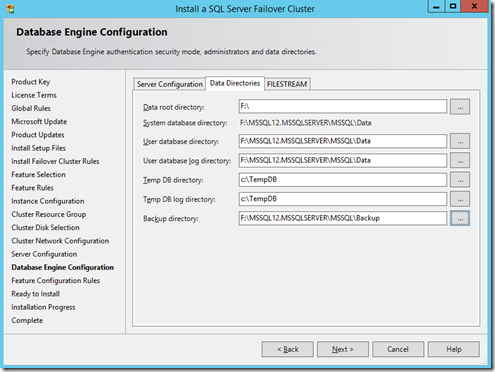 As a sanity check you could also RDP into sql2 (again using a domain admin account) and check if you can connect to the cluster resource name (sqlcluster) in Failover Cluster Manager. 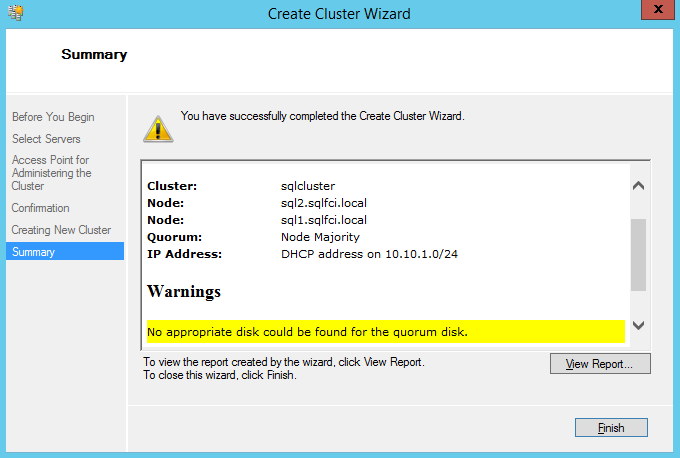 The Windows Server Failover Cluster is now up & running, but doesn’t have any ‘shared’ storage yet. 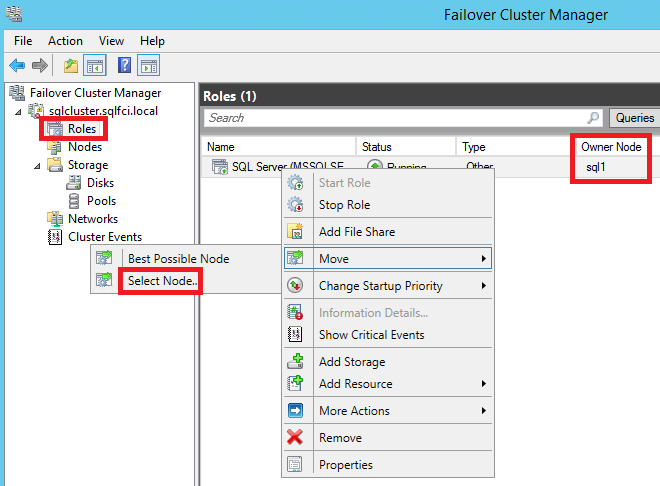 In the next step we will use DataKeeper in order to enable replication & cluster integration for the F: drives we created on both cluster nodes above. 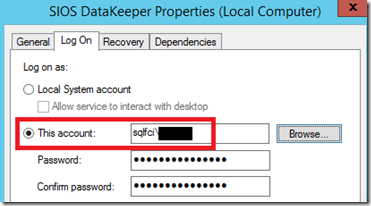 Once that’s done, you’ll need to set the logon account of the ‘SIOS DataKeeper’ service to a domain account with local admin rights on the VM and then start the service. 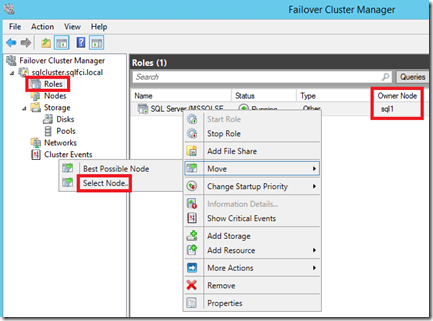 Next, you need to create a job in order to replicate data between the F: drives of both nodes. Configure the replication mode to ‘Synchronous’, as our cluster nodes are in the same datacenter and network segment, so we want replication to happen as fast as possible and also synchronously in order to get strong consistency for the databases in the cluster. 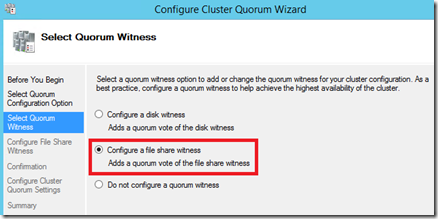 Voilà: we have created a fully functional Windows Server Failover Cluster in Azure, including quorum configuration and cluster-enabled storage! 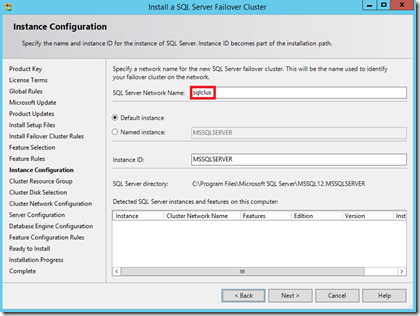 Let’s make use of it by configuring the SQL Server Failover Cluster Instance next. 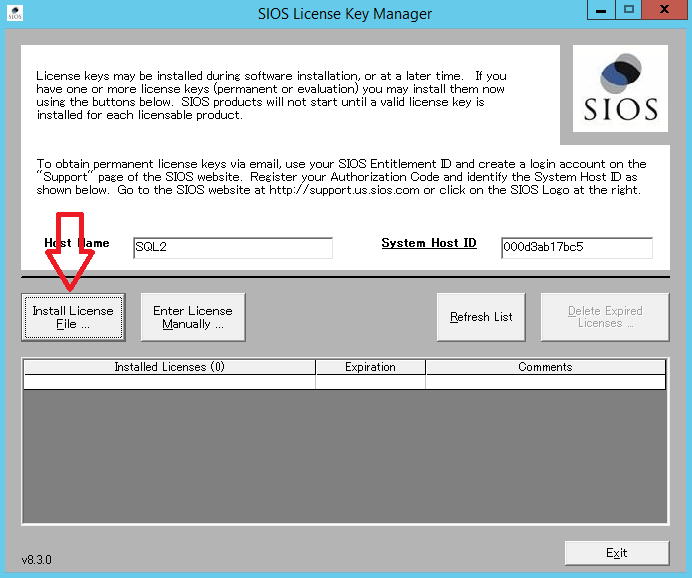 As we have used the SIOS image from the Azure Marketplace, we can’t use the pay-as-you-go version of SQL Server, but rather need to install it manually on both cluster nodes. I am usually doing it using my MSDN account when testing stuff. I went ahead and downloaded the x64 Standard edition of SQL Server 2014 SP1. 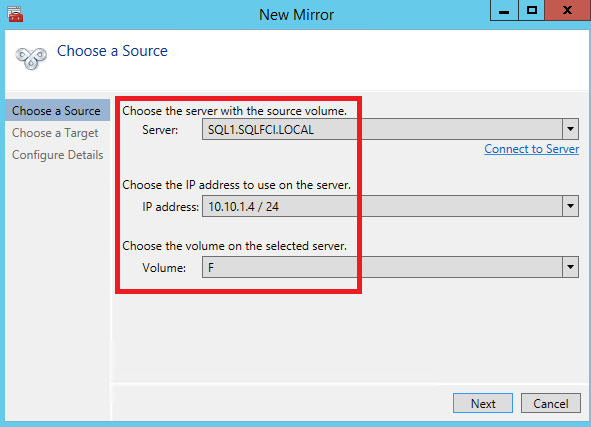 On the Cluster Network Configuration page, we need to disable DHCP and manually enter an IP address that will be used for the SQL cluster (I used 10.10.1.100). 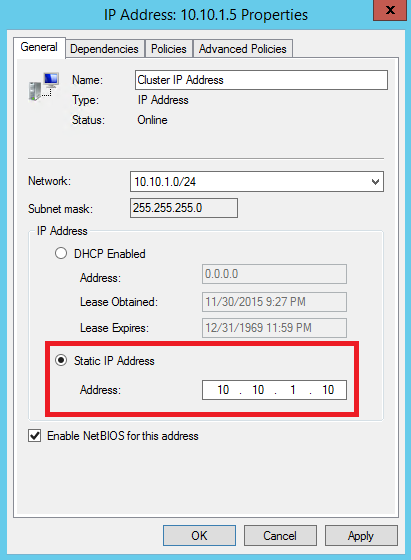 Again, make sure this address is free and won’t be used by any other VM, it will not be reserved by DHCP. 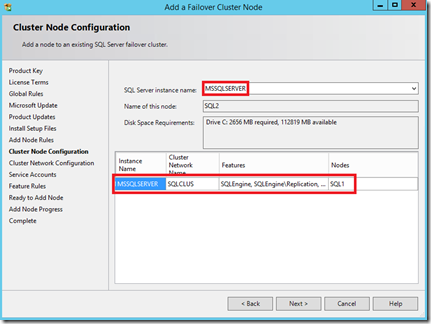 In Server Configuration, specify a properly configured domain account for the SQL Server Agent and Database Engine services. 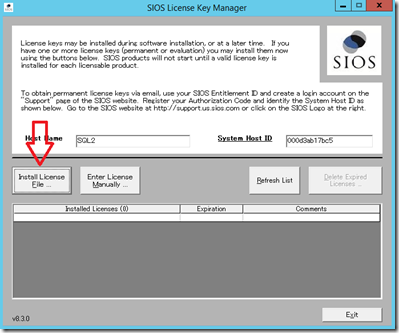 Note, that this setup is greatly simplified! 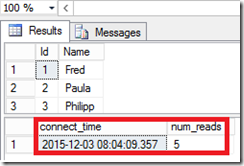 Usually it is a best practice to split data and logs onto separate disks, check here for best practices. 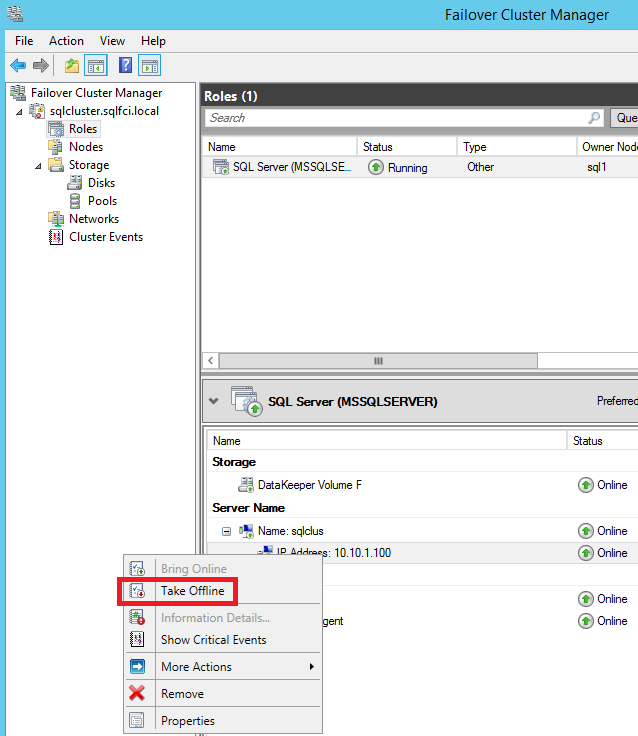 Also, TempDB could go onto the temporary drive D:, which is SSD based for D(S) series VMs, see here how to do it properly. 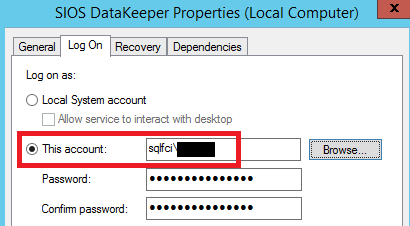 In any case, make sure that TempDB does not get stored on the F: drive, because it is not supposed to get replicated via DataKeeper! 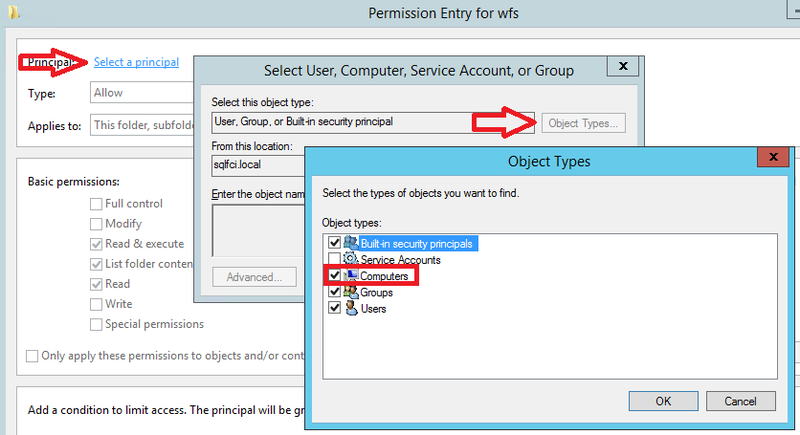 In our case, we’ll leave it on c:\TempDB, so create the directory now. 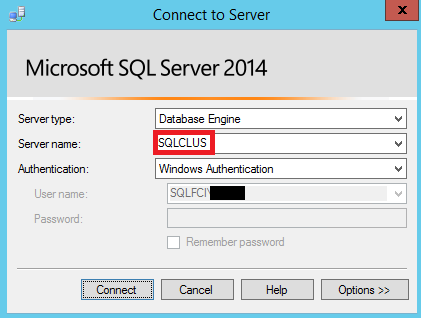 In Service Accounts make sure to enter the password for the domain account (same as on sql1). 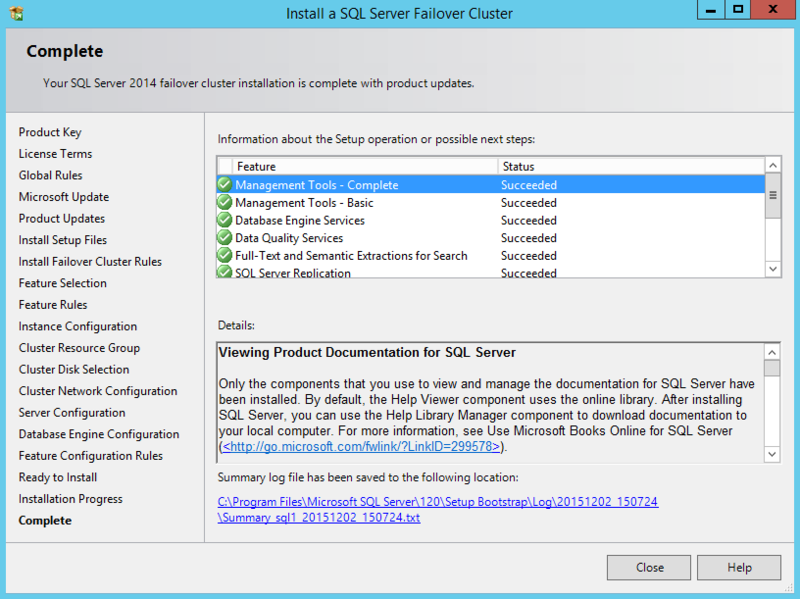 Start the installation process and wait for it to finish, the confirmation screen should be identical to the one on sql1. 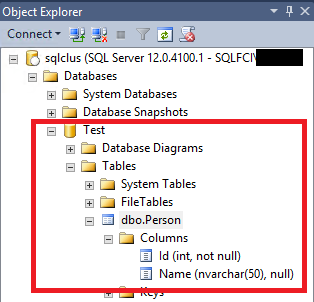 Before we go on, let’s not forget to create the c:\TempDB directory for storing the SQL TempDB, as not doing so will result in errors trying to bring up sql2 as primary node later on! 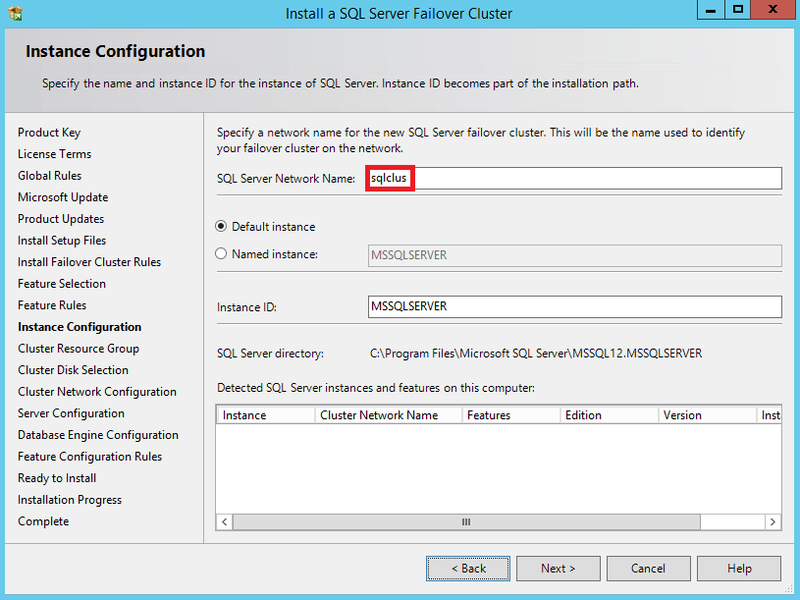 Usually, clients are connecting to the cluster via a SQL listener, which transparently routes them to the currently active server node. In Azure, the listener is mapped to an internal load balancer (ILB). 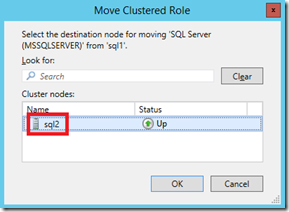 The ILB directs incoming traffic to the primary node in the FCI setup and is also probing on the nodes. Once the cluster fails over the ILB will notice and route traffic to the new primary. 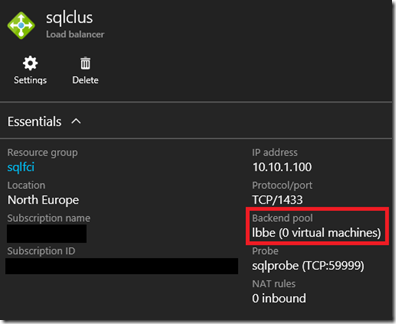 $bePool = New-AzureRmLoadBalancerBackendAddressPoolConfig -Name "lbbe"
Parameter $location: make sure to use the same location as for the other components in your cluster. 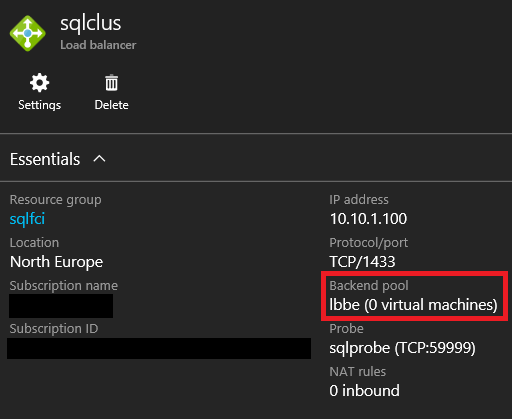 $ipResourceName = "SQL IP Address 1 (sqlclus)"
In order to allow SQL traffic and also the probes from the ILB get all the way through to their destination, we need to open ports 1433 (SQL traffic) and 59999 (ILB probes) in the Windows firewall of both sql1 and sql2. 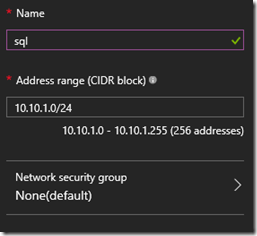 According to security best practices, in a production environment you should also define Network Security Group rules, especially on the SQL subnet. 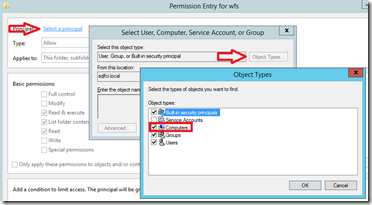 There’s default rules blocking all incoming traffic except originating from inside the VNet or the Azure Load Balancer. 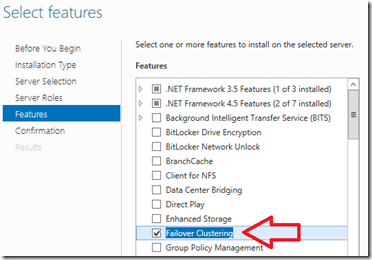 You should restrict that further and narrow it down to just allow access for clients of the cluster endpoint in the virtual network. 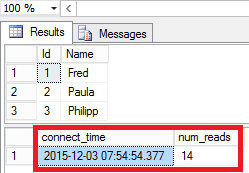 Note that with each query execution, connect_time will remain the same and num_reads will increase by one with each execution. 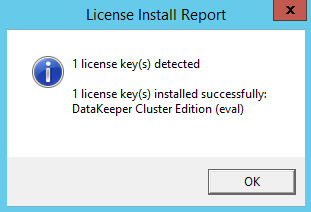 Now, you may have noticed that when configuring DataKeeper, we specified a source and a target for replication. 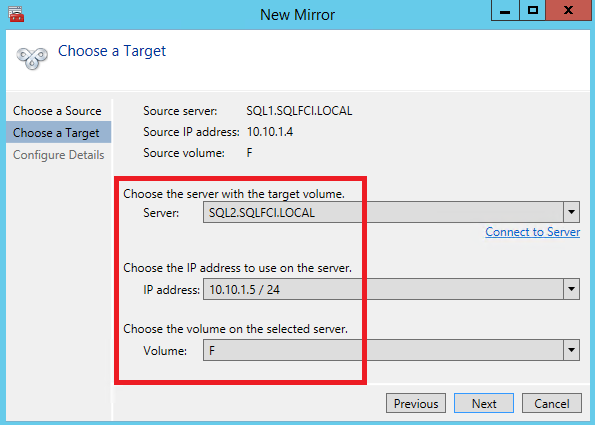 So is it going one way only or is it bidirectional between the two locally attached disks (hoping for the latter)? 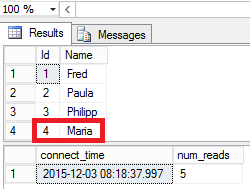 In order to check that, let’s add a record to the Person table, fail over to the original node and see what we get. 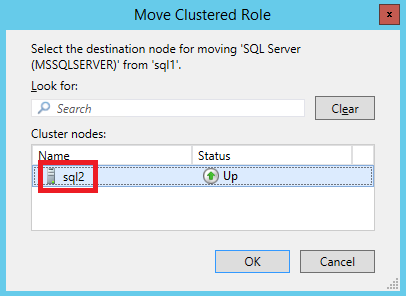 If you like you can also trigger the failover by shutting down the primary node (sql2 in my example), so lets do it just for fun. Before shutting down the primary, open Failover Cluster Manager on the secondary and watch what’s going to happen: the cluster is promoting the other node to primary within a couple of seconds, great! But what about our new record? 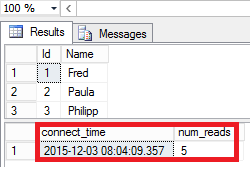 Execute the query from above in the query window and voilà, the new record is still there! 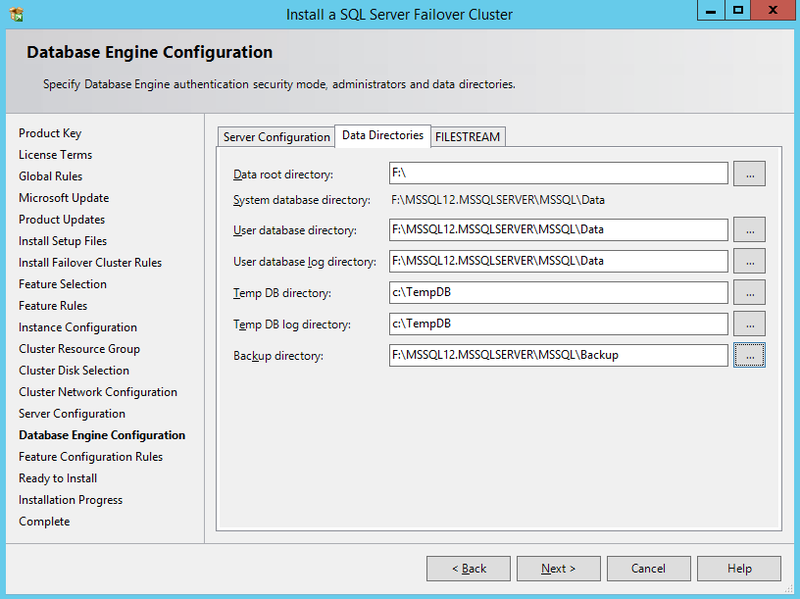 If you are looking for a highly scalable and reliable SQL Server HA solution in Azure IaaS, based on Windows Server Failover Cluster and SQL FCI using ‘shared’ storage, this approach is for you. 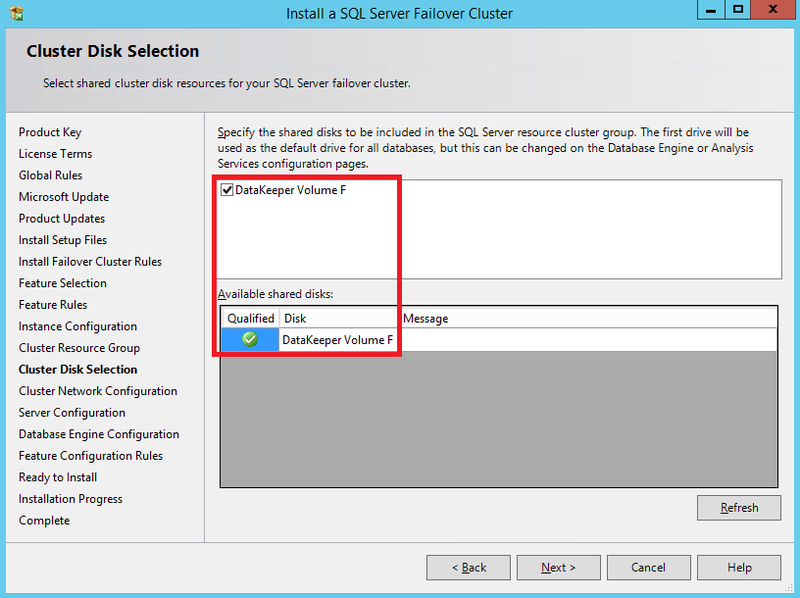 The combination of Azure Premium Storage, Windows Storage Spaces and SIOS DataKeeper lets you provision powerful SQL clusters achieving significant IOPS and throughput numbers. 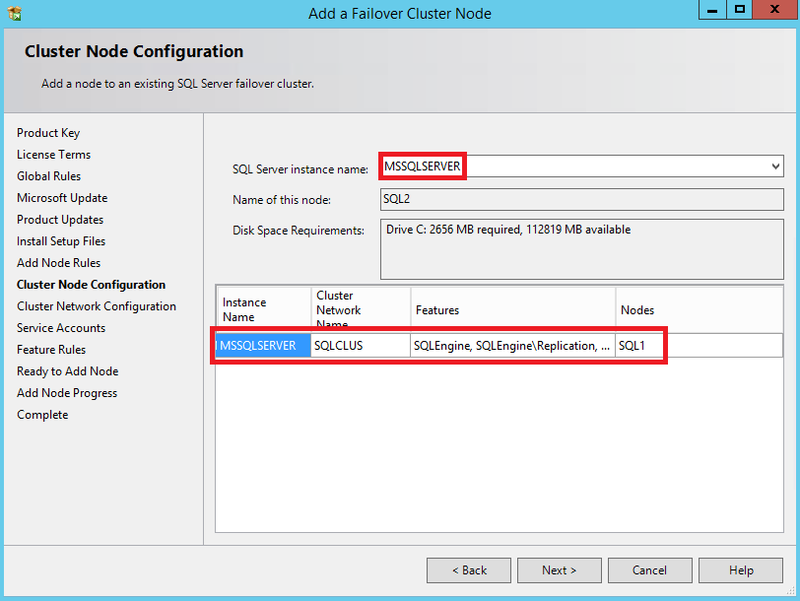 At the same time it might also save you money, as the approach does not require SQL Enterprise edition, but can be build on top of a 2-node cluster using SQL Standard. 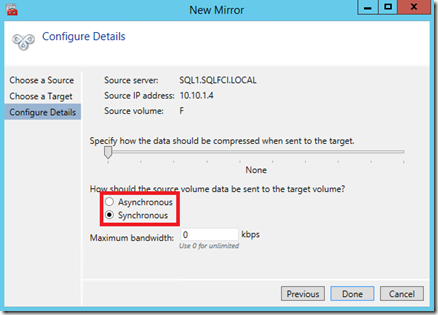 In terms of support and comparing the approach to other solutions you can check this blog post from the Windows Server Core Team. 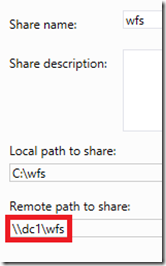 Thanks for making it all the way down to the end of this long post. 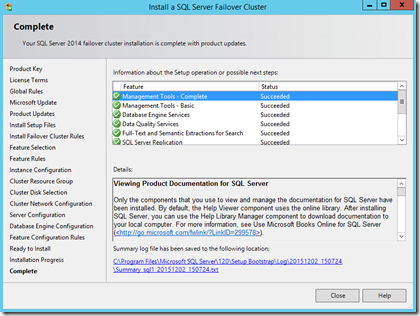 I hope you enjoyed reading & trying it out! 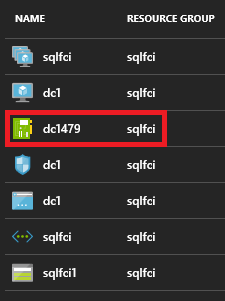 This entry was posted in ARM, Cluster, HA, Microsoft Azure, PowerShell and tagged ARM, Azure, Cost Saving, IaaS, Microsoft Azure, PowerShell. WOW! This article is clean and concise. 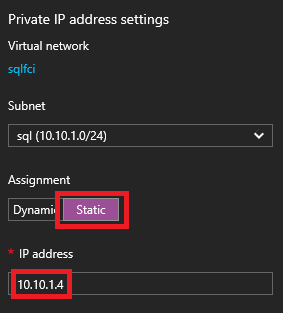 Only thing that I would do differently is to create the cluster via PowerShell and specify the static IP when doing it. 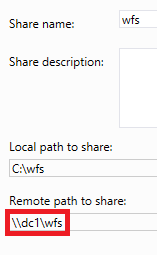 That avoids the whole IP address conflict thing. 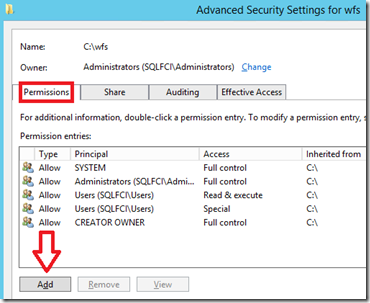 I particularly like the ILB PowerShell commands. 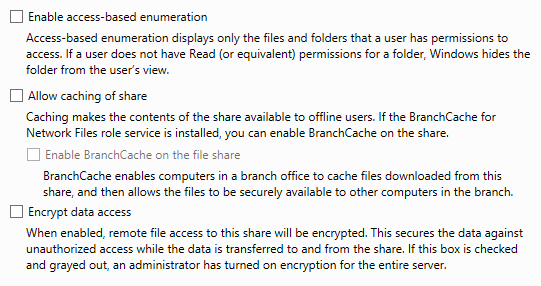 Leave it to the community when Microsoft falls behind in their documentation.